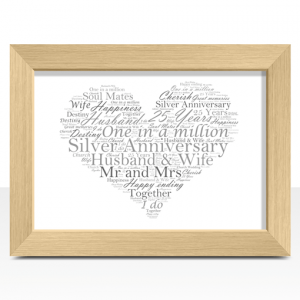 We have a range of personalised gifts to suit any anniversary. 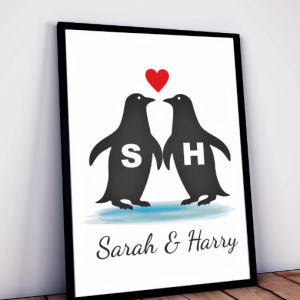 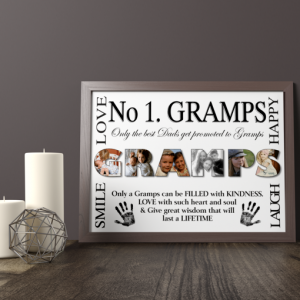 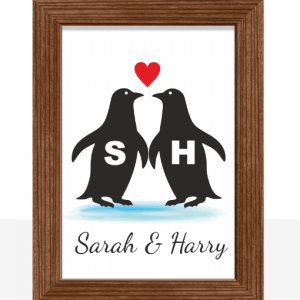 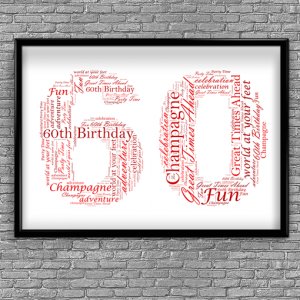 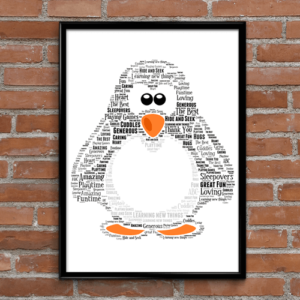 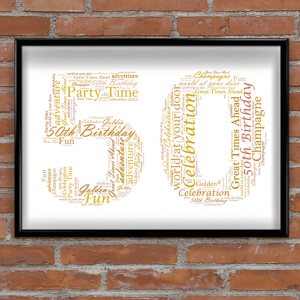 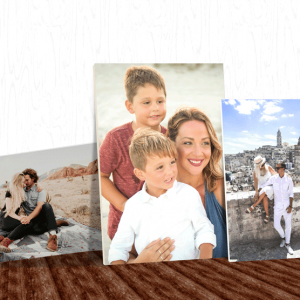 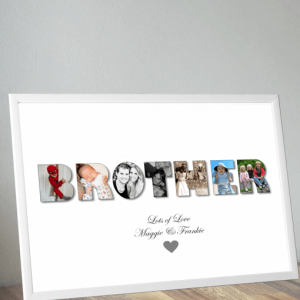 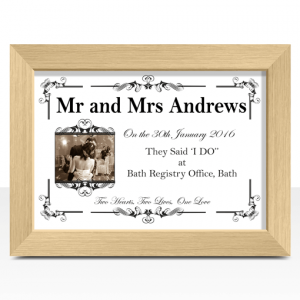 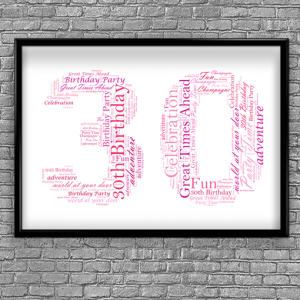 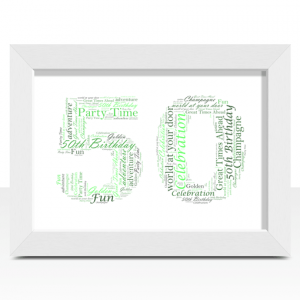 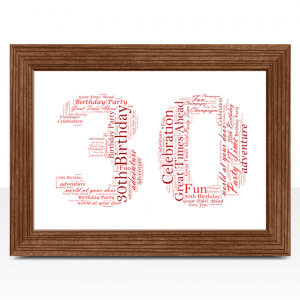 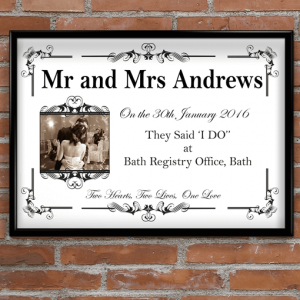 Easily customise any of our prints to create your own personalised anniversary gift. 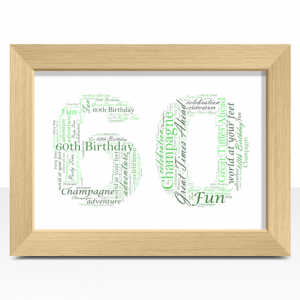 Personalised Golden 50th Wedding Anniversary gift. 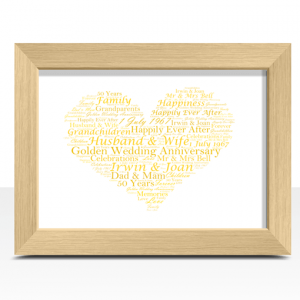 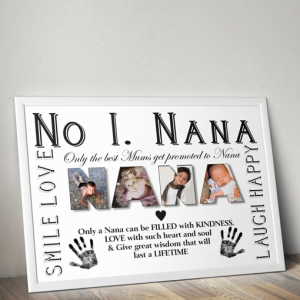 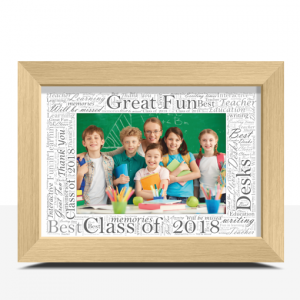 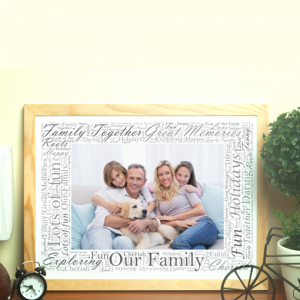 This heart shaped word art print can be fully customised to create the perfect Golden Wedding Gift. 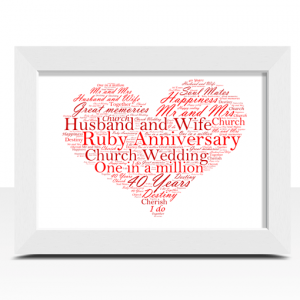 Personalised Ruby 40th Wedding Anniversary gift. 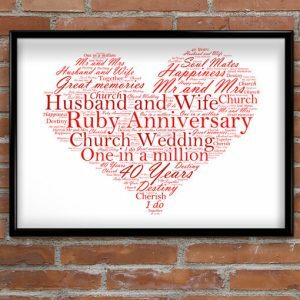 This heart shaped word art print can be fully customised to create the perfect Ruby Wedding Gift. 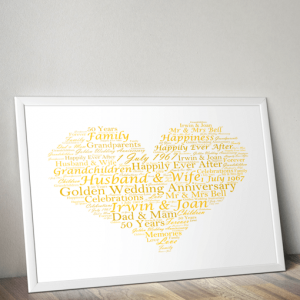 Traditionally paper is given to mark a couples First Anniversary. 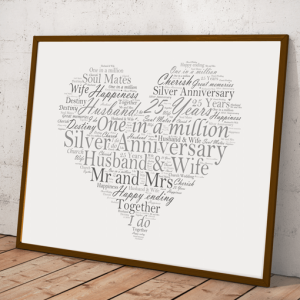 Add a photo & personalised text to this print & create the perfect first year anniversary gift.